The month of October began with two separate attacks on United Nations (UN) peacekeepers in Mali. 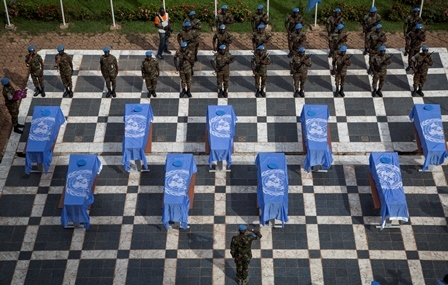 On October 3, unknown attackers killed nine UN peacekeepers in Mali. On October 8, a second attack occurred, resulting in the death of one UN peacekeeper. Both attacks have been linked to the UN’s mission to guard against militant Islamists who posed a threat to Bamako, Mali. These attacks are indicative of the security problems in Mali, which have only been further exacerbated by both food insecurity and extreme poverty throughout Africa’s Sahel region, an area that stretches from the Atlantic to the Red Sea, including Mali, Chad, Mauritania, Niger, and parts of Sudan, Cameroon and Nigeria. However, it is the lack of attention or response from the international community for these attacks that is equally striking and highlights the need for more attention and focus on UN peacekeeping missions, generally. Despite the unconfirmed identities of the attackers, these attacks potentially show the danger of growing extremist behavior in Africa. Although MINUSMA, the UN peacekeeping force based in Mali, has not indicated who is responsible for these attacks, there were 30 survivors. One of these survivors, from Niger, stated that the attacks were carried out by the Movement for Oneness and Jihad in West Africa (Mujao), an al-Qaeda-linked Islamist militia. 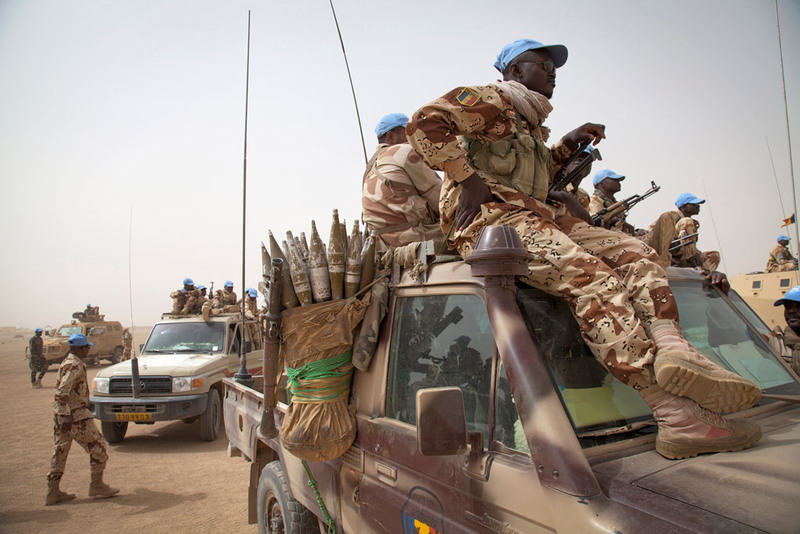 The UN began their peacekeeping mission in Mali in April of 2013 as a response to northern Mali falling under the control of Tuareg separatists and Islamic extremists with links to Al Qaeda after a military coup in 2012. Mali entered into conflict after a coup in 2012, which failed to handle the Tuareg rebellion in Mali’s northern desert region. “Al-Qaeda with its Islamist allies took advantage of the subsequent chaos to seize the north, sidelining the Tuaregs.” Despite French-led interventions in 2013, which successfully scattered extremists, some groups still remain active and continue to act violently. 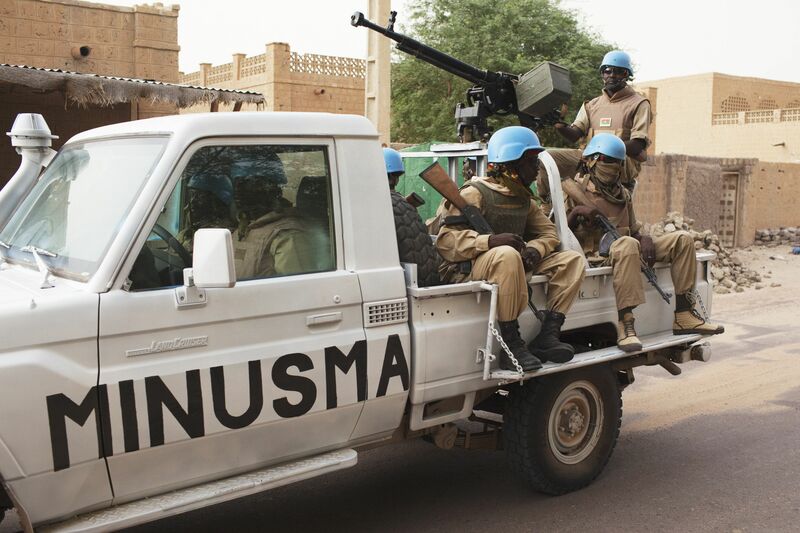 Following this intervention, peace talks begun between the Malian government and the Tuaregs, however, as French troops have removed themselves from the region, the situation has become “intolerable” per Hervé Ladsous, U.N. Under-Secretary-General for Peacekeeping. The international community’s lack of response to these attacks is extremely concerning. Other than minor news coverage reports detailing the number of casualties, there has been minimal international reaction. UN officials have commented on the events, with United Nations Secretary-General Ban Ki-moon expressing “shock and outrage at the killing[s] . . . and issued a warning that all hostilities waged against UN ‘blue helmets’ constitute a serious violation of international law.” The 9,000-strong UN force, took over peacekeeping operations in July 2013, and frighteningly, thirty peacekeepers have now been killed in Mali since the United Nations Security Council established the operation in April 2013. Yet, international attention regarding these conflicts has been minimal. The world has been consumed with the threat of ISIS, particularly with the recent battle for control of the Syrian border town of Kobane. However, these recent attacks on UN peacekeepers illustrate the need to look at extremist actions beyond the anticipated Middle Eastern Regions. The UN Security Council was recently debriefed on global conflicts, including the Malian attacks. Malian Foreign Minister Abdoulaye Diop spoke to the UN Security Council stating that urgent measures were needed in response to the recent killings of UN peacekeepers. 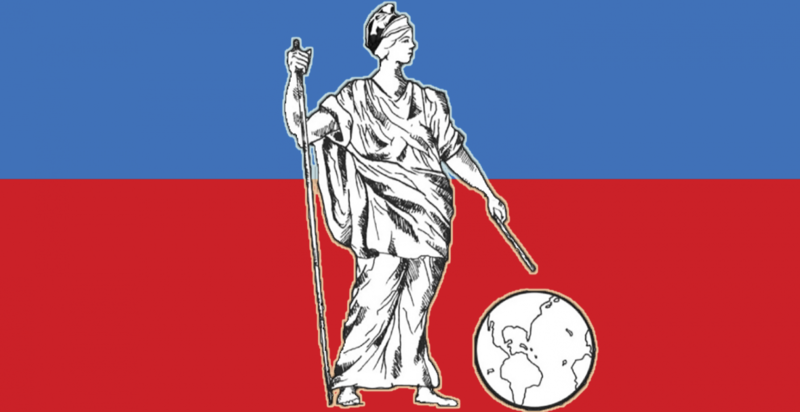 In regards to the Golan Heights region of Syria and Israel, Lieutenant General Iqbal Singh Singha, Force Commander of the UN Disengagement Observer Force (UNDOF), stated the UN peacekeeping missions were further jeopardized due to the ongoing conflict in Syria, which has resulted in “an upward spiralling of violence.” Singha also noted that troop contributing countries, such as Austria, have removed their forces from the region as the Syrian conflicts continue to rage. These instances of conflict demonstrate the difficulty UN peacekeeping missions have in regions of conflict, regardless of the political and social reasons for the conflict. Without proactive measures for the UN peacekeepers, peacekeeping efforts will likely be halted and civilians further harmed. The difficulty now becomes determining how the UN and international community respond to the attacks, even if it is in the form of aid relief. “‘Force Commanders are operating in failing or failed States, where, frankly, there is no – or hardly – a peace to keep,’ Lieutenant General Ahmed stated, noting that the growing Ebola crisis had added yet another dimension of complexity to the UN military presence on the ground in Africa.” In the recent Security Council briefing, Lieutenant General Carlos Alberto Dos Santos Cruz, the Force Commander of the UN Organization Stabilization Mission in the Democratic Republic of the Congo (MONUSCO) addressed the Security Council, stating, “the protection of civilians remained ‘a moral obligation.’” However, the safety of UN peacekeeping forces, as well as civilians, should now be the primary focus. Despite these calls for strengthened peacekeeping missions, there is still inadequate discussion on how to strengthen peacekeeping forces. For example, at the General Debate of the 69th Session of the UN General Assembly in September 2014, peacekeeping discussions were dwarfed in comparison to topics such as terrorism or extremism. Further, the lack of discussion of peacekeeping efforts, particularly in Mali, reflect that the global community is more concerned with active conflicts in regions such as Israel/Palestine and Syria. Without discussion on how to improve and strengthen peacekeeping efforts, more harm will likely come to UN peacekeepers operating in conflicted regions. Hopefully the UN will respond to the Malian government’s request for heightened enforcement action in the coming days. The level of support offered to the stressed Malian areas should involve sufficient aid so that both civilians and peacekeepers in the region receive enhanced protection. The Associated Press, Mali: Gunmen Kill 9 U.N. Peacekeepers, N.Y. Times (Oct. 3, 2014), http://www.nytimes.com/2014/10/04/world/africa/mali-gunmen-kill-9-un-peacekeepers.html. Reuters, Mali: U.N. Peacekeeper Dies in Attack, N.Y. Times (Oct. 7, 2014), http://www.nytimes.com/2014/10/08/world/africa/mali-un-peacekeeper-dies-in-attack.html. Mali’s UN troops killed in deadliest attack, BBC News (Oct. 3, 2014), http://www.bbc.com/news/world-africa-29475975. Ban ‘outraged’ by deadly attack on UN peacekeepers in Mali, UN News Centre (Oct. 3, 2014), http://www.un.org/apps/news/story.asp?NewsID=48998#.VDWW_PldXNw. Kobane: IS and Syria Kurds in fierce gun battles, BBC News (Oct. 8, 2014), http://www.bbc.com/news/world-middle-east-29532291. Mali conflict: UN urged to send more troops, BBC News (Oct. 8, 2014), http://www.bbc.com/news/world-africa-29547051. UN force commanders brief Security Council on challenges facing ‘blue helmets,’ UN News Centre (Oct. 9, 2014), http://www.un.org/apps/news/story.asp?NewsID=49037#.VDdAUxZPS2w. 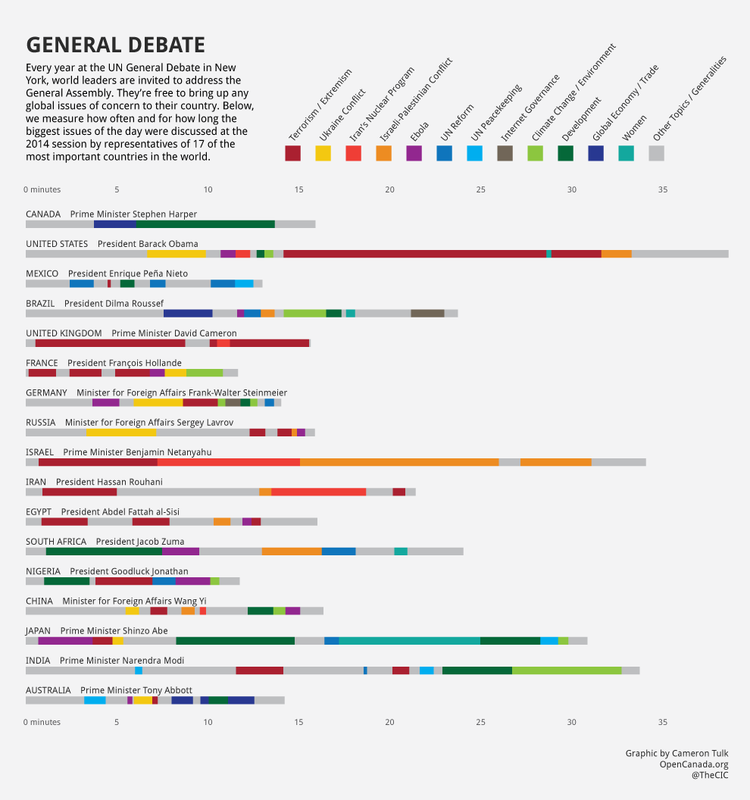 OpenCanada Staff, Global Priorities and the UN General Debate, Canadian International Council (Oct. 7, 2014), http://opencanada.org/features/graphic/global-priorities-and-the-un-general-debate/. Categories: international law | Tags: Africa, Al Qaeda, blue helmets, Chad, IS, ISIL, ISIS, Israel, Mali, Mauritania, MINUSMA, MONUSCO, Mujao, Niger, Palestine, Peacekeeping Mission, Sahel, Tuareg, UN General Assembly, UN Peacekeeping Missions, UN Security Council, United Nations | Permalink.